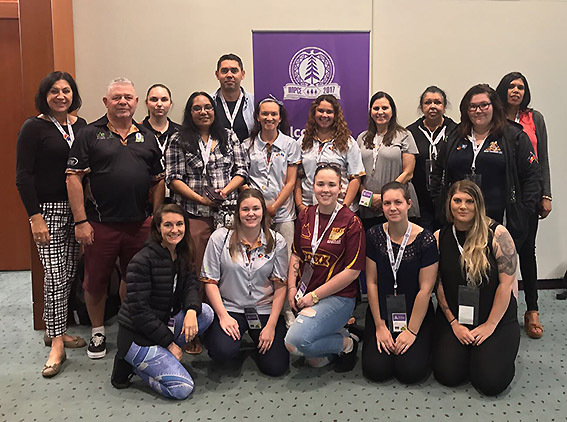 In July 2017 the University of New England, Oorala Aboriginal Centre funded 12 Aboriginal and Torres Strait Islander students, 4 staff and 5 other researchers to attend World Indigenous Peoples Conference on Education (WIPCE) in Toronto, Canada. five other UNE staff and research students. The eight undergraduate students who attended the WIPCE conference were: Lorrelle Munro, Michael Kirk, Nina Sands, Sharon Hope-Hodgetts, Ashleigh Walton, Tahlicia Johnston, Gemma Wright and Destiny Powell. The Masters students who attended were David Anderson, Nina Cass, Ashley Alford and Cassarndra Slade-Potts. The four UNE Indigenous staff members who went to WIPCE were Greg Davison, Scott Trindall, Pam Widders and Lorina Barker. Our Aboriginal students and researchers had the opportunity to choose from over 800 presentations during the five days focusing on the conference theme of Truth and Reconciliation. The Oorala delegation had the opportunity to share culture and knowledge with nearly 4,000 representatives from other First Nation peoples from around the world. Mr Greg Davison, Director of the Oorala Centre, presented a paper on the implementation of a student engagement system tailored to the needs of Aboriginal and Torres Strait Islander students that provided timely culturally-appropriate support. The Oorala Aboriginal Centre students also participated in the continuing discussion and developments of reconciliation within Indigenous Education. 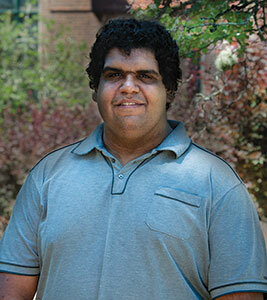 Michael Kirk, a final year Education student at UNE participated in several workshops and approaches to education. He said that “developing a cultural awareness early in childhood allows it to then become part of a child’s upbringing”. The student/staff delegation to WIPCE was the largest delegation from any Australian University who took part in the conference. Aboriginal and Torres Strait Islander students who attended will leave UNE with valuable international experience and new professional networks with Indigenous peers to complement their studies. WIPCE attracts highly regarded Indigenous Education experts and scholars from around the globe. It represents an invaluable opportunity for learning and networking for both UNE Indigenous students and staff.